The Chesterfield Chamber of Commerce was created by a group of committed and passionate business owners who wanted to ensure area businesses had representation within the county government. As Chesterfield County became one of the fastest growing counties in the nation, populations swelled and demands for high-quality community services increased. County government began prioritizing initiatives and improvements, and the Chesterfield Chamber became the advocate for business. Today, the Chamber works hand-in-hand with the Board of Supervisors and county administration to ensure all aspects of our county prosper. The Chesterfield Chamber advocacy reach provides input to Virginia’s State Senators and Delegates with an annual legislative agenda for the General Assembly. To engage in advocacy efforts check out the Government Affairs Committee where members maintain relationships with elected officials and government agencies. 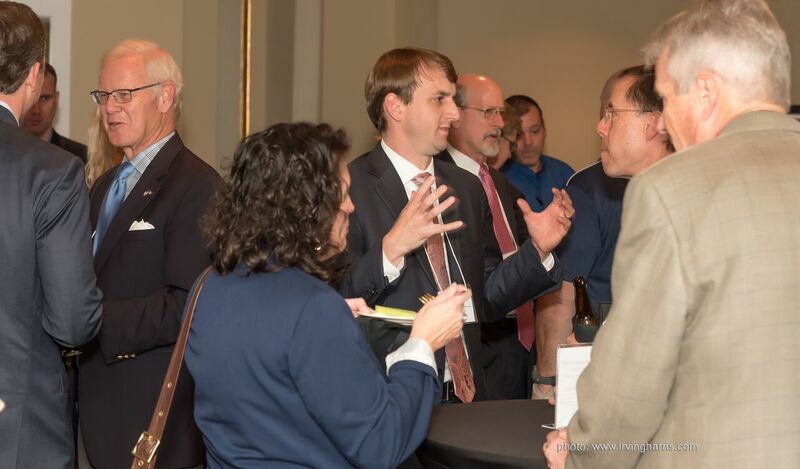 They also educate legislators on issues of importance to membership, craft and communicate pro-business policy positions, and host an annual legislative reception. You do not have to participate on the committee to share your ideas and concerns. Email our Chamber President, Danielle Fitz-Hugh, on what is important to your business and she will bring them to the committee on your behalf – danielle@chesterfieldchamber.com.